There’s no surefire path to business success. However, it’s safe to say your chances of business success are somewhere around zero percent if said business never actually gets off the ground. According to Small Business Economics, entrepreneurs who create a business plan are 152 percent more likely to actually launch that business. And if you’ve got a plan, you’re nearly 130 percent more likely to see your business through its awkward startup phase and get it growing. Make no mistake, having a business plan helps. You can build yourself that solid template for the future quickly and easily with Bizplan. Right now, you can sign on for a lifetime of their premium service at over 90 percent off retail — just $69 from TNW Deals. Once you understand Bizplan’s easy-to-use interface, you’ll work through the step-by-step business builder using simple drag-and-drop elements. Your Bizplan template helps you chart where to allocate resources and personnel, how to size up your costs, forecast revenue and establish timelines toward a business launch that make sense. Bizplan even tracks your progress so you can keep the entire process on pace. With options for adding graphics, sound and even video, you can craft a slick blueprint for getting any enterprise off the ground, attracting investors or just keeping you focused and on-task. 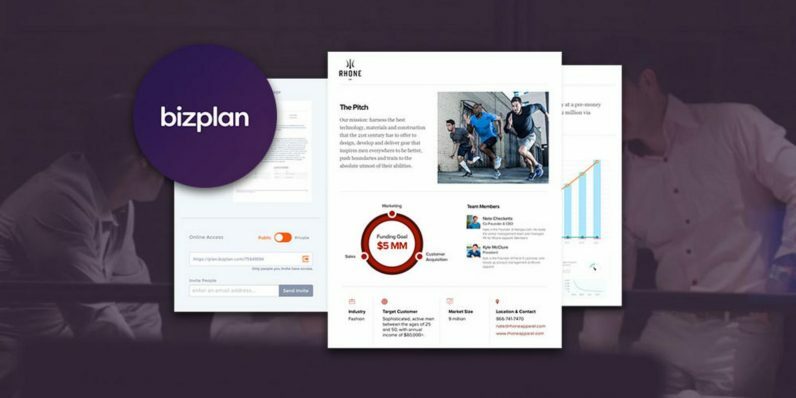 Bizplan allows you to get input from any number of collaborators seamlessly as well as access to Fundable, the world’s largest business funding network. You can give your business idea its best shot at a thriving future with the help of a lifetime Bizplan subscription. Usually a nearly $3,000 value, you can get this unlimited support for only $69 under this limited time offer.